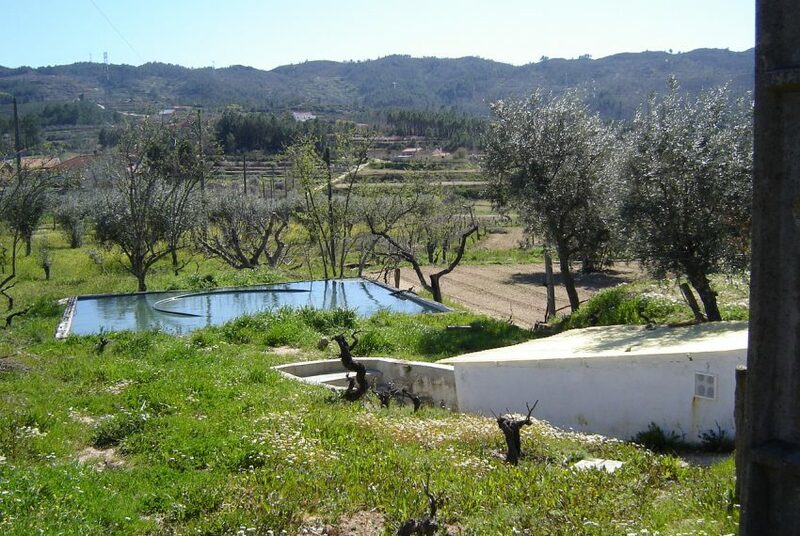 Beautiful farm for sale near Covilhã. With its size of around 30,000 m2 (3 hectares) and diversity of land, this farm makes your head spin of the possibilities it has. 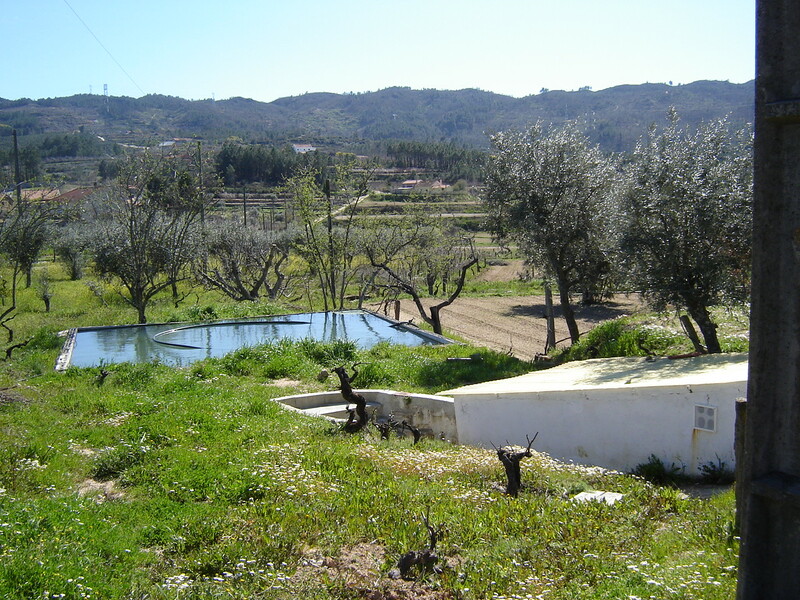 The farm is located in Ferro, Covilhã – Canhoso, at 10 kilometers from Covilhã. Facing south with incredible views over the city and the mountain Serra da Estrela. It has an excellent sun exposure and micro-climate where the vineyard and fruit trees benefit from all year round. 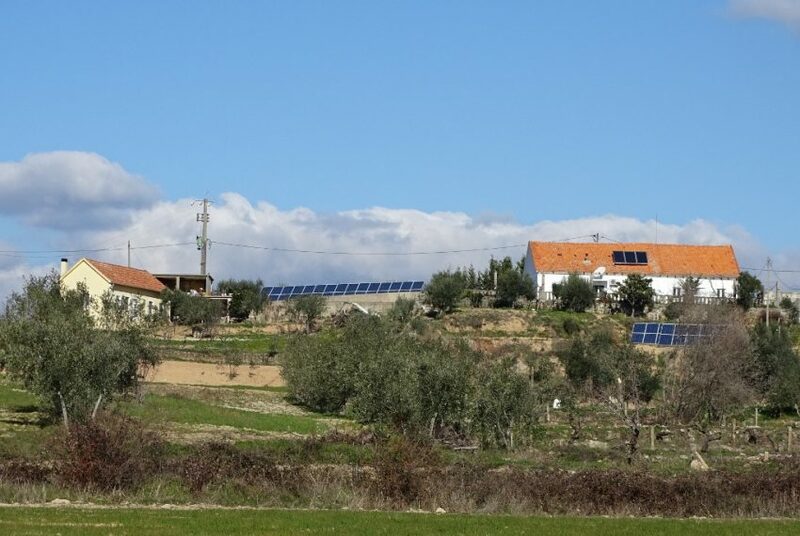 The property has two habitable houses in good condition, both with individual registration, with water from the public grid, and electricity from the individual network. The land consists out of more than 230 olive trees, 200 cherry trees and many other tree species in small quantities, such as almond trees, hazelnuts, pomegranates, peach trees, quince trees, pear trees, apple trees, orange trees, tangerines, Clementine’s, lemon trees. There are about 200 grapevines to make red and white wine. Several natural resources of water from 4 wells, two mines, 1 spring and artesian hole. Furthermore, there is a complementary resource of a support water system supplied by the Cova da Beira Irrigation System. Thorough the land there is a drip watering system for the trees and vegetable garden. 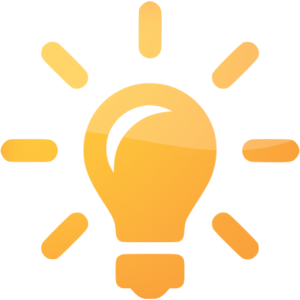 Energy comes from an EDP solar panel system with production and sale of electricity, with 60 solar panels divided into two modules. The production of energy generates a monthly income of around 300 euros per month. The main house counts 164 square meters and is partially rebuilt in 1998; with 2 Bedrooms, living Room, hall, bathroom, kitchen, large attic and bodega. Insulated floor and concrete slab system; Public water supply; Public Electricity Supply; Video intercom system; Doors and windows with ventilators, 80 mm PVC, with double glazing with a 20 mm chamber, being composed from the interior by low emissive on the exterior by Top-Sol (slightly mirror polished); 3 solar panels for heating bath water, with 2 tanks with a capacity of 320 lts and 110 lts respectively; Central heating in all divisions – Roca brand (light fuel oil);Air conditioning in bedrooms and living room; Stove-style fireplace; Backyard, with large yard cemented around the house; Bodega/Cellar, in attachment to the house, with two large stone wine cellars for wine production. The second house is about 65 square meters, rebuilt in 2006. Featuring 1 single bedroom and 1 bedroom duplex (mezzanine type), living room and kitchen in kitchenette style, bathroom and isolated loft, public water supply;public electricity supply. The entire house has wooden ceilings with ambient light built in Nordic style, doors and windows in aluminum, with double glazing with 16 mm chamber, stove-style fireplace. Contact us with any questions and to plan a viewing.